Yes, anyone can book UltimateOz. Depending on your purpose to travel to Australia there a various visa options. If you are planning to work in Australia, you are probably looking at getting a Working Holiday Visa. However, they are limited to certain nationalities and age groups. You must be aged between 18 – 31 years and be a passport holder of the UK, USA, Belgium, Canada, Cyprus, Denmark, Estonia, Finland, France, Germany, Ireland, Italy, Netherlands, Norway or Sweden. If you are not a passport holder of any of the above countries, you may still participate in our UltimateOz program, however you cannot undertake any paid work whilst in Australia and we would replace the work and mail support components of the tour with additional fun activities for you. Our Guide to Australian Visas. What do I need to plan my trip to Australia? You must have access to sufficient funds to support yourself for the initial stage of your holiday in Australia and you may be asked to show evidence of this upon arrival. We suggest arriving in Australia with an equivalent of at least AU$5000. The amount you need will depend upon your travel plans and length of stay in Australia. 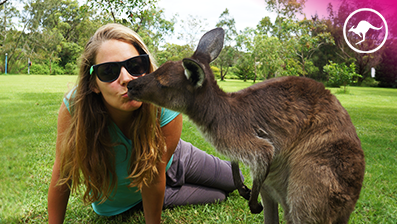 UltimateOz is designed to help you make friends as soon as you arrive in Australia! Most people doing UltimateOz arrive alone and stay in touch with friends from the group for the rest of their trip. You’ll spend your first week having loads of fun and getting to know each other. After the week is up we can advise you on how to find a shared apartment in Sydney or continue travelling Australia together. How far ahead should I book UltimateOz? We recommend that you book your UltimateOz package sooner than later as dates do book out, but no worries if you’re late to make plans, we can help you out with last minute arrival arrangements. After booking you’ll be contacted by a Work & Travel Expert at UltimateOz who you can email with your questions at any time. We’ll email you a confirmation of your booking showing your Aussie mailing address, accommodation details and an Airport shuttle bus voucher. All you have to do is book your flights and we’ll take care of the rest! UltimateOz includes Australia’s best job service for travellers; Travellers At Work! Upon arrival, our Work & Travel Experts will spend time with you to establish what kind of jobs you’re looking for and where and when you’d like to work. We’ll review your CV and help you adapt it to suit Aussie employers. We’ll provide you with access to the Travellers At Work job database, so you can begin applying for jobs at your earliest convenience. If at any time you need some guidance just swing by and have a one-on-one session with one of our TAW reps who can help you out in your job search! Can you help me plan my trip around Australia? Our Work & Travel Experts have been everywhere and seen everything in Australia, New Zealand, Fiji & SE Asia! We can plan or book everything for you and are happy to give you unbiased travel advice! No matter where you want to go and how you want to get there we’ll be able to help plan out the adventure of a lifetime for you! What training courses will I need to apply for jobs in Australia? In Australia, Health and Safety laws require that workers in certain professions (including Hospitality & Construction) undergo compulsory basic training and become certified to be eligible for employment. All hospitality staff must hold cerfification known as an RSA (Responsible Service of Alcohol) before being eligible for employment on licensed premises. You will also need RGS (Responsible Gambling Services) certification to work in premises with gambling facilities. To work on a construction site it is a requirement that you hold an OH&S General Induction Certificate or “White Card” as it’s commonly known. Your UltimateOz package includes an RSA course (valid in QLD, NT, WA & SA), plus a bar skills course. Medicare is Australia’s governmental public health policy. If you are on a Working Holiday Visa you may be eligible to be covered by Medicare for the duration of your stay in Australia. Medicare is an add on, not a replacement for any other insurances you may have so you still need to have valid travel insurance! Citizens of the UK, Sweden, Finland, Norway, the Netherlands, Belgium, the Republic of Ireland and New Zealand are covered for the duration of their approved visa time in Australia. Citizens of Malta and Italy are covered by Medicare for a period of 6 months from their date of arrival in Australia. All other countries unfortunately are not eligible for Medicare support but as long as you have travel insurance you’ll be covered! I want to stay in Sydney for a while; can you guys help me find a place? Yes. We offer furnished shared accommodation tours to help you find a great place to live around the city for the duration of your stay. UltimateOz has access to a large selection of flats, apartments, serviced apartments and houses available for rent in a variety of Sydney suburbs. Stay 4 weeks to 1 year spending an average of $175-$350 per person per week. We’ll organize a free escorted tour of these properties for you whenever it suits you! To obtain a 2nd year visa extension, you must complete three months (or 88 days) of work in a regional part of Australia. The Crew at UltimateOz can assist you in your 2nd year visa jobs search and lots of 2nd year visa jobs are available on www.taw.com.au. As a working holidaymaker in Australia you may be eligible to receive a tax refund. Our tax refund experts will help you with everything, so you’ll get the maximum refund possible. When you leave Australia, we can also help you claim your superannuation refund too. 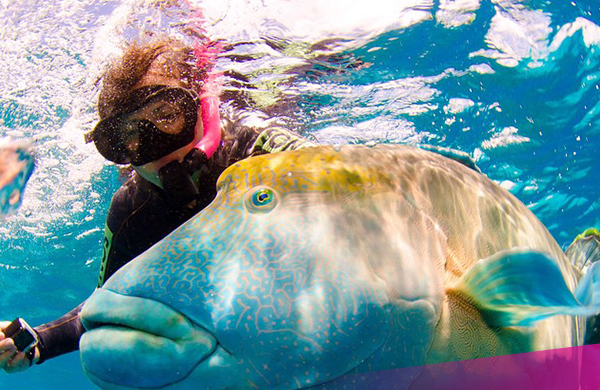 Travel the East Coast, learn to surf, dive the Great Barrier Reef, explore the Outback and heaps more.